Somebody from Greece robbed the pay of our protectors, the Mumbai Police, how did they do it? In a very strange incidence or coincidence, the salaries of Mumbai Police were robbed through what is being called 'ATM Skimming' method. At least 8 Mumbai policemen are among 29 individuals whose bank cards were cloned and used to fraudulently withdraw cash from ATM machines in Greece as per Mumbai police. A total of 1.3 million rupees ($23,000) was withdrawn from 29 accounts with Axis Bank Ltd. Axis Bank manages the salary accounts of Mumbai police, and ATMs used by Police in Worli and Colaba were used to clone the cards, according to an Axis Bank spokesman. To top it off all the withdrawals seemed to have been made from far away Greece in Europe. So far, the police have no clue except for the fact that the ATM machines that were used by the officers had a skimmer installed inside it. A Skimmer is a small device that is fitted to the outlet of the slot for your card. When you swipe your card, all the details about the card including the PIN no. are stored into the skimmer. This skimmer is then physically retrieved by the thieves to make clone card having a exact imprint of your skimmed card. Now the cloned card can be used in any ATM supported by the type of Card. For example Visa, MasterCard etc. and can be accessed anywhere in the world. Why the cloners chose Greece is still a big question. The police are verifying the CCTV footage of the ATMs which are believed to be compromised. Meanwhile Axis Bank has made good the loss of the Policemen and other individuals so that our Police do not feel the taste of what it takes to have your money stolen. Active investigation is being undertaken by Mumbai Police with the help of CyberCell. After all no body can steal from our protectors, eh? 1. Always use a random ATM then a preferred ATM near to your house or place of work. Go to more crowded ones like the shopping malls, railway stations and grocery stores. The more the ATM is secluded the easier it is for the cloners to operate. 2 Thieves can install small button cameras on the ceiling of an ATM booth, which can record the PIN number you punch on the ATM machine and or person standing close to you might be a “shoulder surfer”, trying to memorize your PIN. To avoid this always bed over the keyboard or use your free hand to “shield” the ATM keyboard. 4. Several banks recommend keeping your time inside an ATM booth to a minimum. So, keep your card ready when you enter the booth so you don’t have to open your wallet once inside. Don’t count the cash in the booth. Also, if possible, keep some deposit envelopes with you so you can fill them in advance of depositing money in the booth. 5. Use well-lit ATMs, especially at night. 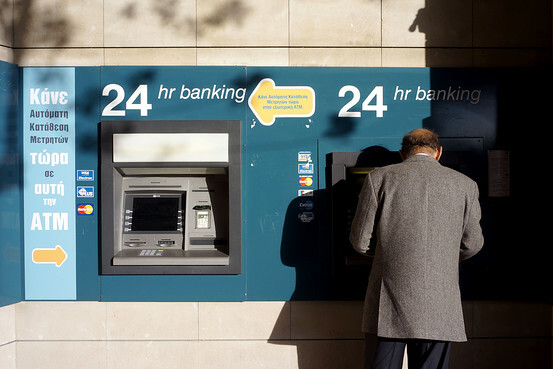 “If the view of the ATM machine is blocked by overgrown shrubbery or trees, or any other objects, use another machine,” says the Better Business Bureau, a nonprofit organization in the U.S. which works for consumer issues. Nice post and thanks for the safety tips.